[A] These are all reasonable questions. There are a lot of supposedly ‘lucky places’ to buy your ticket. So why not get your ticket from those places instead of your usual retailer? Well, let’s look more closely at what a ‘lucky lottery store’ really is. There is no formal or legal definition for this, because luck is not something you can really define in terms of numbers. But what we really mean is something like ‘a store that has sold some jackpot winning tickets’. We’re not sure ‘how many’ equals lucky or ‘how big’ those prizes have to be — just that there have to be ‘some big winners’. How Do We Know a Place Is Lucky? But how do we even know that a particular place is a lucky store anyhow? In other words – who told us it was? There are two ways we normally find this out. Either the store itself has a great big poster in the window saying ‘big jackpot winner sold here’. Or the lottery company kindly helped us find one of these lucky places by providing details on their website. Which isn’t the most ‘independent’ way to find this information..! By which I mean, the people who profit directly from us buying tickets are the very ones promoting the idea of those stores being lucky in the first place. And What Happens To Lucky Stores..? OK, you can’t really blame the store owners themselves for putting up the posters, and promoting themselves as a lucky place to buy tickets. After all, they sell more tickets, and their businesses make more money as a result. Because players will actively seek out a lucky store. And the regulars are likely to spend more there too. Which can make a big difference to a store owners income. This news story from last Friday mentioned a couple of stores in Ohio, USA. One has sold $2.8m of prizes in the last 3 years. No huge winners, but they’re winnings are twice that of another store in the same area. The first important thing to notice is that most of this stores business is from the sale of lottery tickets. That’s how important this is. We’re not talking about pocket change, we’re talking about the majority of these stores incomes! And they’ve sold twice as many tickets as the other store. So if being seen as luckier means selling twice as many tickets, then they are going to make sure you know about those local big winners. You can also begin to imagine how many more tickets they would sell if they had sold one of the really big winners (5 times as many, maybe 10 times?). Hang On, They Sold Twice As Many Tickets..! That’s the second important thing to notice. The ‘luckier’ store actually sold twice as many tickets as the other store. Which is the real reason their winnings are twice as big course. But you can’t entirely blame the lottery company either for kindly informing us about which stores have sold the big winners. After all, they don’t really claim that your chances are any better if you buy at those places either. In fact, they will tell you exactly the opposite if you ask them. They are more than happy to confirm it makes no difference whatsoever where you buy a ticket! But it certainly doesn’t hurt their ticket sales if they (let’s be kind) ‘encourage’ you to believe that certain stores are luckier than others. After all, some lottery companies provide hot and cold numbers (or other kinds of analysis of past draws) too. They don’t actually say it will help you in any way whatsoever to use that information. They just don’t make a point of saying it won’t help you in the slightest either. Unless you directly ask them! But I Can’t Help It – I Need More Luck! 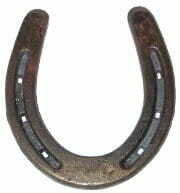 If you are one of lifes superstitious players, then by all means play at the lucky store. It certainly won’t harm your chances of winning. But if you were simply wondering if this was something you can (or should be doing!) to maximise your chances, then worry no more. You can happily save yourself some time, and possibly some petrol/gas by simply playing wherever is the most convenient place to you. Because as all lottery companies will admit if you take the time to ask them, it doesn’t make any difference at all where you buy your ticket. I have seen in past lotteries that most winners come from convenience stores and places where the lottery is advertised in big displays in windows like ‘lottery sold here’! I know what you’re saying about lucky stores but it seems like when I go to my Stop and Shop and buy tickets there I hardly ever win, but go elsewhere and win something even if it isn’t a huge prize. So I don’t tend to go to Stop and Shop any more. I have boought thirty dollar scratch tickets from stop and shop in rocky hill connecticut, and 999 percent of the time i win. however, if i buy 30 dollar scratch tickets anywhere else, i win nothing. 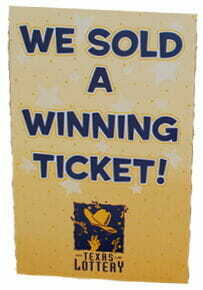 But it makes no sense for a certain shop to sell 99% winning tickets, and the ‘others’ none. It just doesn’t work like that. How many tickets did you buy overall, and how many from other stores? What were the actual figures, i.e. tickets bought and winnings for each store? Without that kind of proper analysis it’s very easy to let perception and superstition overtake. Or to let a very small sample size lead you to entirely the wrong conclusion. I’ve bought lottery tickets from both New Hampshire and Massachusetts and I’ve noticed that the stores that are advertised as the “luckiest” are generally just the stores that sell the most tickets overall. For some weird reason though, I have noticed myself that there are certain stores where I feel I’m winning more often, but I think some of it could just be that they put me in a better mood since they are easier to drive to and more comfortable to sit at. I’ve noticed here in Pennsylvania that there are more “lucky” winners in smaller towns as opposed to the big city like Philadelphia where the population is vastly greater & it’s obvious there are far more people playing. Ex. Philadelphia county has over 1.5 million people. Schuylkill county has 150,000. Yet, far more winners are from there. That’s no coincidence. That’s not luck. Then make sure you have all the data. Are you only going by what you remember? Because perceptions can be highly misleading. Or do you have the full history of the draw, and actual numbers of winners by area? Finally, don’t confuse ‘non-average’ as not random. Because random (luck) can do very strange but perfectly normal things. It is possible to roll a dice and get 10 sixes in a row. If that could never happen then it would not be random. Played at the local gas station for years. Won a ticket here and there. That’s it. Read an article about a mall at the border with the state above me with a lottery ticket store that produced lots of winners because they sold tickets to both locals and our neighbors to the north. I drove up, bought a ticket…… and won. Repeated the experiment a couple of times. I won 4 out of the next 7 times. I wrote the lottery commission. Next time I went up and the lottery ticket store was no longer there. A ticket dispenser stood in it’s place. No winners anymore. Tried three more times. No dice. They shut that down. Lesson? Visit the locations that sell more tickets. Now the ticket machines are popping up in place of the sales clerk generated tickets. No winners. They nipped that in the bud. Now the state government fights over where the lottery money gets spent. Back in 85 when it started it was specifically earmarked for “schools only”. They screwed that up. Your lesson should be to keep your trap shut, you messed up your good thing. You could’ve just kept playing and winning, you have no one to blame but yourself. Back in January 2010 I won $22,000 on the 2×2. Exactly one month later to the day a coworker won the same. We had each gotten off work at 2:00 pm on the days we won and went next door to the gas station adjacent to where we worked and bought Quick Picks. How’s that for spooky?